Swiss Military Hanowa highlights the values of the Swiss armed forces: robustness, endurance and high precision as, well as the ability to function in extreme conditions. 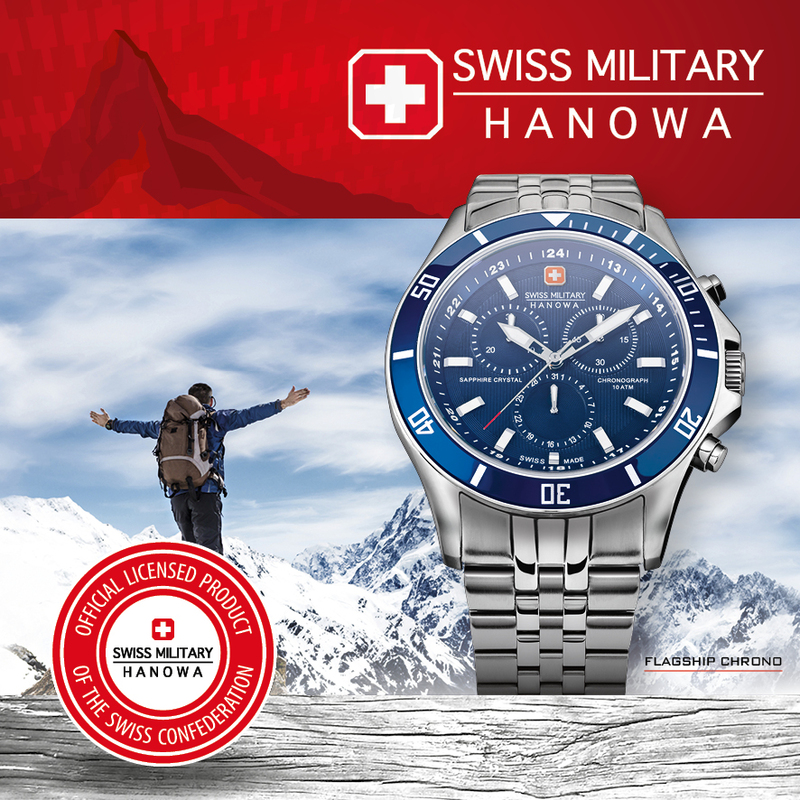 Swiss Military Hanowa is well established and OFFICIALLY LICENSED BY THE SWISS CONFEDERATION, and has a great experience in the field of sports, performance and lifestyle watches. 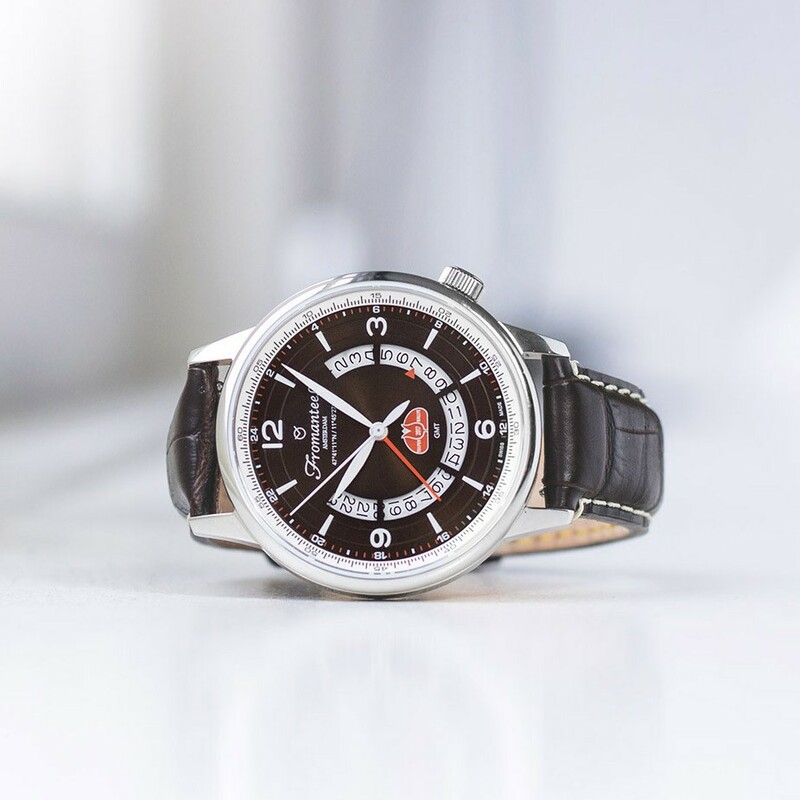 High-quality materials as well as a stylish variety of colours and shapes make these Swiss Made timepieces uniquely special and ideally suited for individualistic, quality- concious lifestyles. Swiss Military Halowa is combining Swiss craftmanship with sporty design, remarkable functions and military precision at a competitive cost/ performance ratio. It is an energetic, dynamic and aesthetically attractive brand that continues to appeal to people across generations offering a value for money timepiece with a distinct personality. 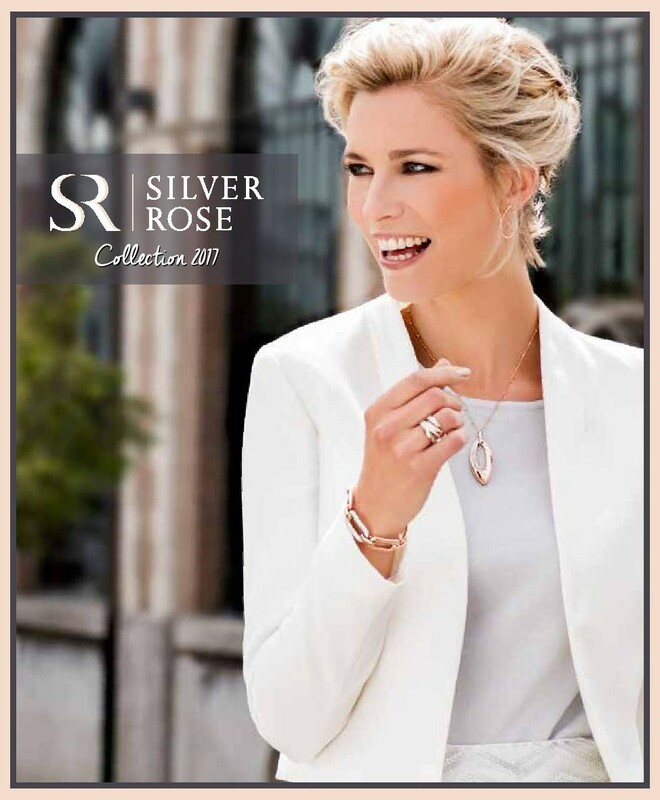 Dream awaywith this new Silver Rose Collection. a classy, sophisticated,contemporary woman, ready to take on the world. William L 1985 was founded by Guillaume Laidet, a young timepiece aficionado who use to work in the Swiss watch industry. 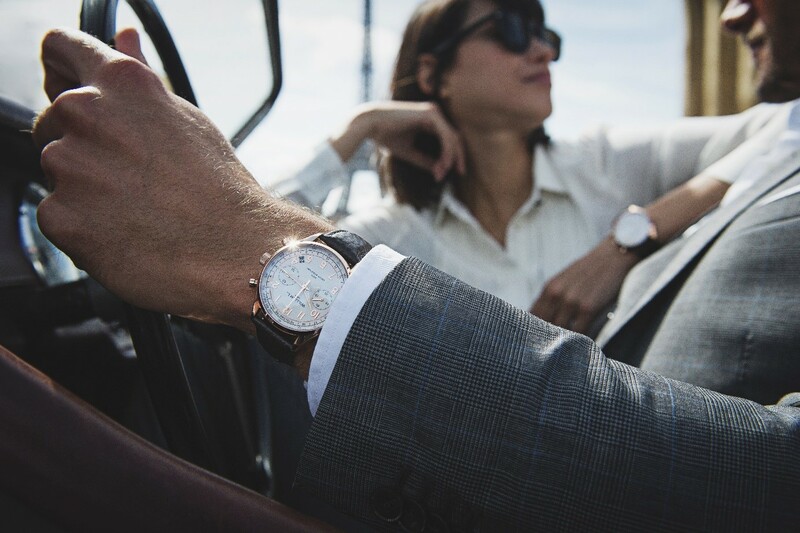 After several years at the service of some of the most prestigious watchmaking companies, he decided to start his own brand, aiming atoffering meaningful collections inspired by a 50s vintage chronograph that he inherited from his grand- grand -uncle. This family jewel, once restored, quickly caught the eyes of his friends but the price, for most of them, was a real deal breaker. This is exactly why William l 1985 was born: To offer quality timepieces with classic designs for a very attractve price point. Terere van de 64 e editie van de historische en internationale Tulpenralley heeft het Amsterdamse horlogemerk Fromanteeleen zeer exclusief horloge uitgebracht, de Tulip 64 GMT,in een gelimiteerde oplage van 500 stuks. Fromanteel was dit jaarvoor de vijfde keer op rij “Official Time Partner" van de Tulpenralley. De limited edition is geïnspireerd op de talloze herinneringen en tradities die vanaf de eerste Tulpenralley van 1949 zijn gevormd. Dit heeft geresulteerdin een klassiek en tijdloos ontwerp. Het horloge is voorzien van een gemakkelijk af te lezen wijzerplaat met daarop het logo van de Tulpenralley, afgedekt met een krasvrij saffierglas. In de roestvrijstalen 42 mm diameter kast huist een krachtig Swiss Made Quartz uurwerk. Het horloge bevat daarnaast speciale features zoals een open datumaanduiding en een tweede tijdzone. Rensini founded in Rotterdam in 1926, creates jewels with guts.Controversial golden jewels with diamonds which are made to be seen. According to Rensini, every woman loves feeling beautiful, strong and sparkling and jewels are the powerful way to achieves this. The proportions of diamonds and jewel are always perfectly balanced. A growing diamond means growing ring dimensions. This ensures jewels with optimal proportions. Rensini jewels are provided with Top Wesselton VSI brillants with excellent cut. Rensini jewels are specially made for you in 14 or 18 carat gold.Just what you prefer. You can define your own combination of colours of gold(-yellow-white-rose-). To give you maximum freedom of choise, the different colours are all the same price. 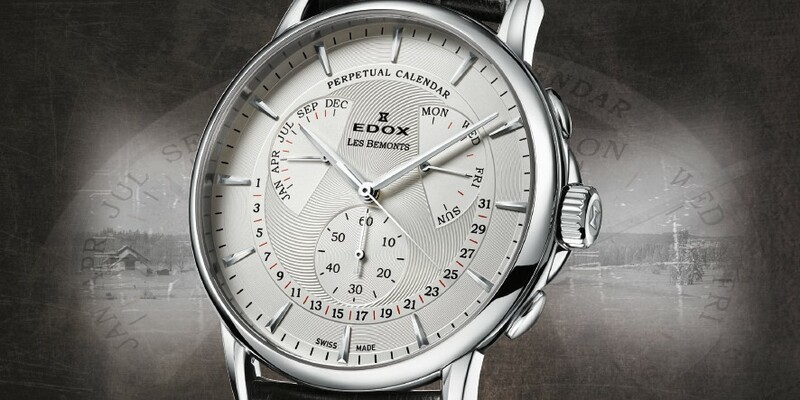 Assembled by master watch makers, engineered for champions:for more than 130 years, Edox watches have combined ultimate precision with ingenious solutions-even fort he most demanding activities: be it above or below the water surface, in the eternal ice or even on glowing desert sand, any timing instrument from Edox carrying the legendary hourglas logo will meet even the highest demands of its owner.The understanding of quality is one of the reasons that Edoxis so succesful.